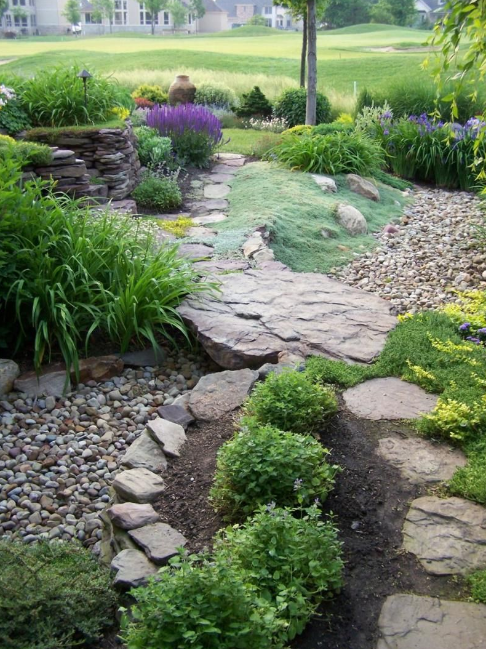 Dry Creek Bed Landscaping – You must have seen shallow stone-lined pathways in many homes. 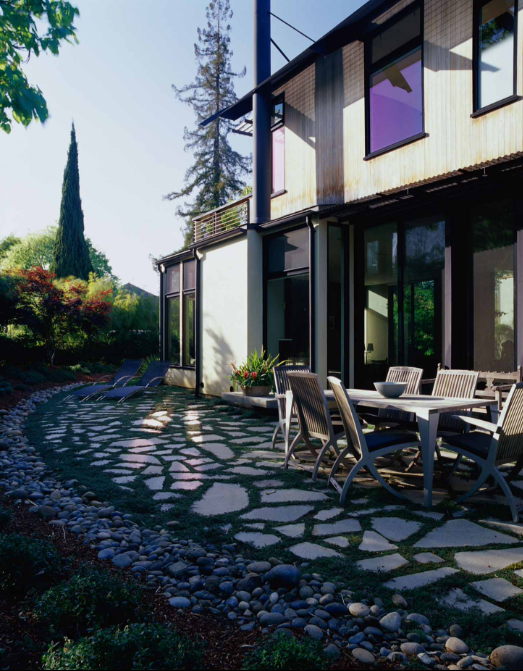 These are dry creek beds that can serve both aesthetic and functional purposes. 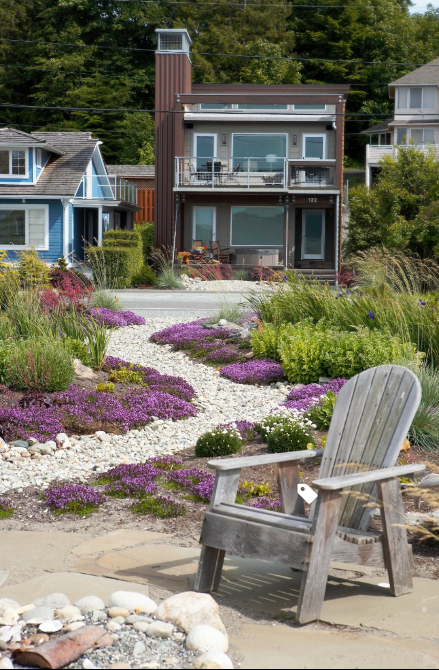 For either your front or backyard, dry creek bed landscaping can add a new life to the area. 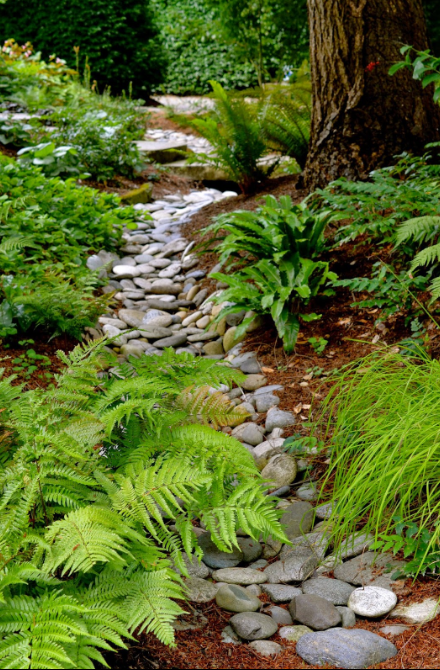 A dry creek bed is more than just an appealing addition to an outdoor landscape. 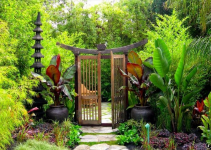 It is an intelligent choice to build one in places where you face difficulty to grow plants. It is often used to create an illusion of a stream as it can mimic water movement. 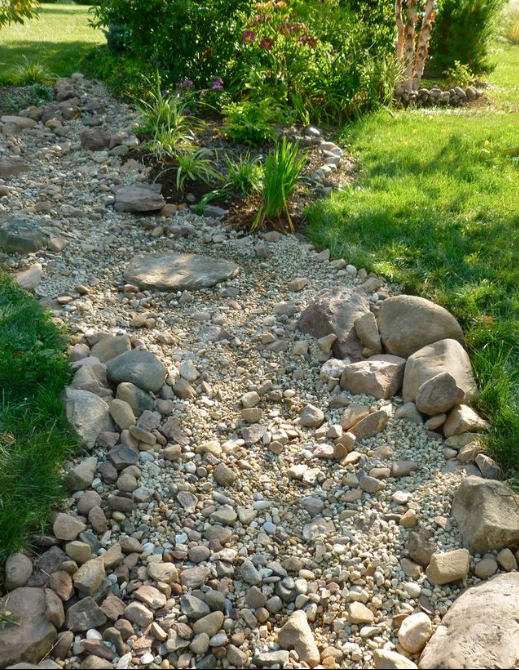 A dry creek bed is not just an aesthetic collection of rocks. 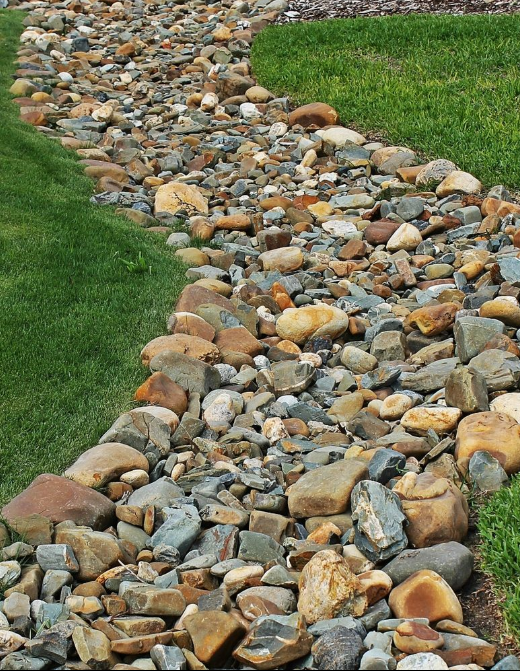 Problems like inefficient drainage and erosion can be resolved by installing them. 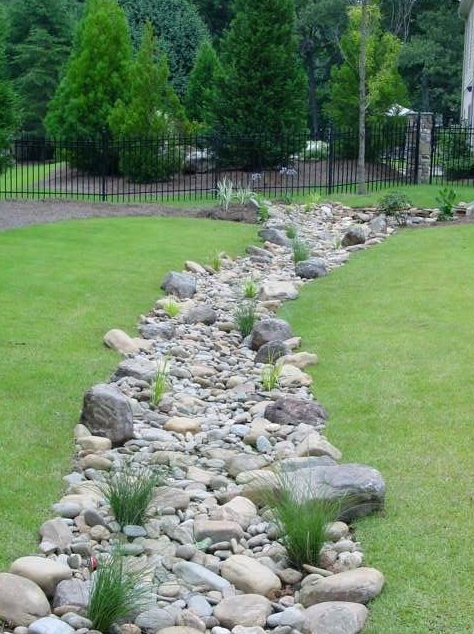 How to Build a Dry Creek Bed? While most dry creeks look the same, you can always add a unique touch. 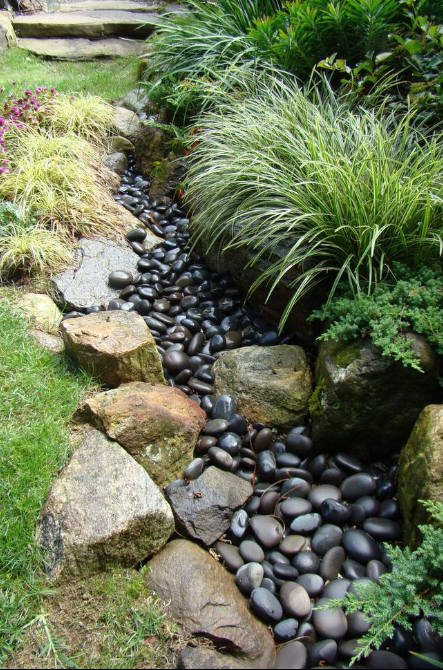 For example, the type of stones you use, their appearance, size, and texture; all these impact the appeal of the creek. In this image, you can see that the appearance is quite rough and uneven. It kind of takes away the artificial vibe and fits in more naturally with the rest of the landscape. This next one shows a shallower but smoother look. It is also kind of hidden. The purpose seems to be about making single side more appreciable if one decides to linger instead of improving the entire view. This third image shows a dry creek that works almost as an extension of the stone pavement. It is the perfect combination of improving the aesthetic and functionality. This dry creek partition is great for drainage as well as protection of the landscape from excessive foot traffic. 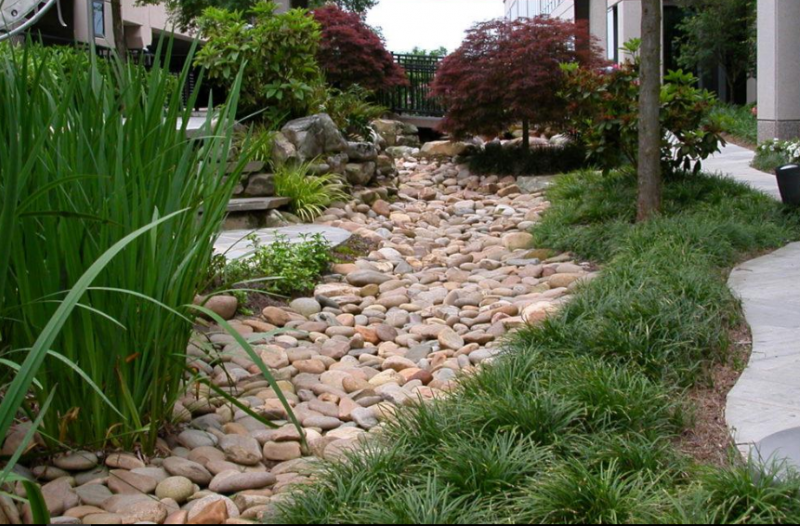 As mentioned earlier, a dry creek bed is not just an illusion for creating the aesthetic of flowing water. It can actually be used for functional purposes like drainage of water as well. When you want to keep a well-maintained yard in your home, you must also resolve water issues. Water needs its way out. If you don’t establish effective draining methods, it will probably start collecting in a single place. This may be a corner of your garden or landscape. Excessive water collection can disturb the growth of plants as well as damage any land it stays upon for long. If you don’t have a draining system for your yard, you may find yourself doing it manually so water does not stay long at one place. This is obviously regular hard effort; not always possible. In some cases, you may be able to install an artificial drainage system. At other times, it is difficult to install one in an existing and flourishing landscape. 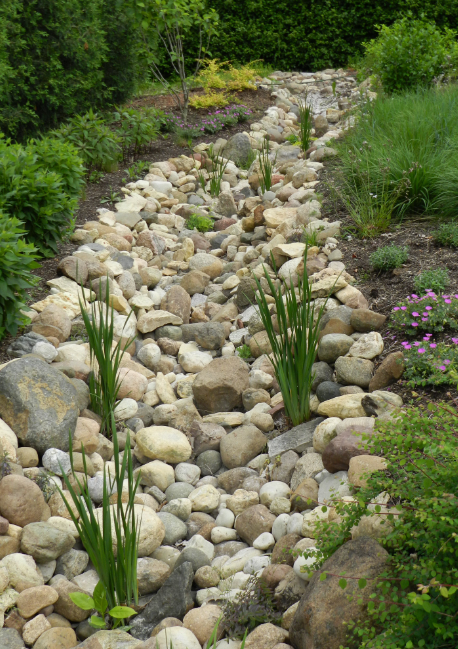 A dry creek bed is kind of a natural way to make way for water. You can dig out one starting from the source of water so that it begins to pass through. Dry creek beds that are specifically meant for water drainage might be built with a slope. They may also require the help of a drainage expert so their exact function can be made effective. In this first image, we see that the creek is passing through the yard. Larger rocks cover the boundary of the creek to ensure water passes through in almost one direction. This second one shows a creek that has been built at the edge of the yard. The step-like structure creates an easy slope for the water to flow out. In this collection of images, we see smaller and narrower dry creek beds. These have been built straight out of the buildings so water from the source disperses into where it is needed better. 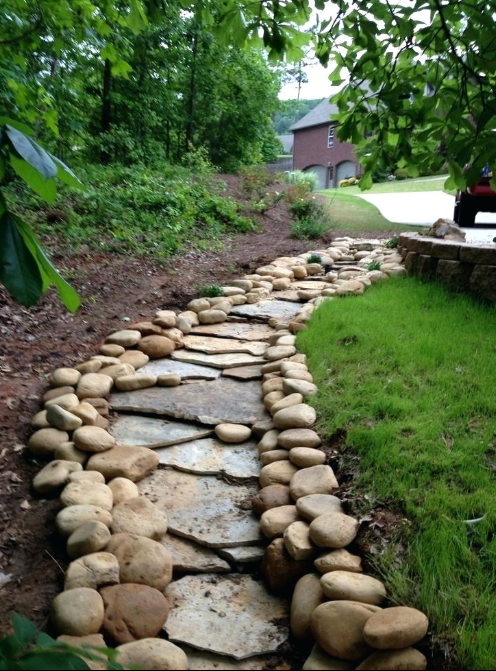 Many people will add an extra dimension to the creeks whether they are built for aesthetics or functional purposes. One easy way to do so is to plant the creek. This creek shows growth at random intervals. It keeps the natural appearance intact. A roughly built creek with smooth rocks that features quite a natural appearance with messy plant growth. Here is another one where the creek seems to wind through beautifully planted shrubs. This one looks easy to build. A shallow digging has been lined with rocks and shadowed by plants, it fits in perfectly. 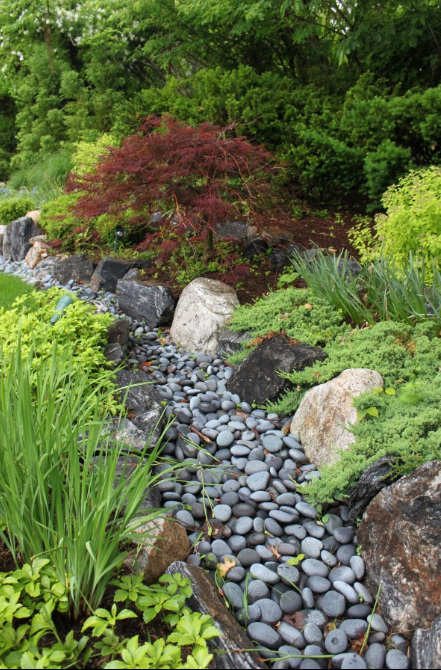 This creek is quite traditional but the boundary of larger rocks gives the garden a mountainous vibe. A winding path of creek from the house into the yard. 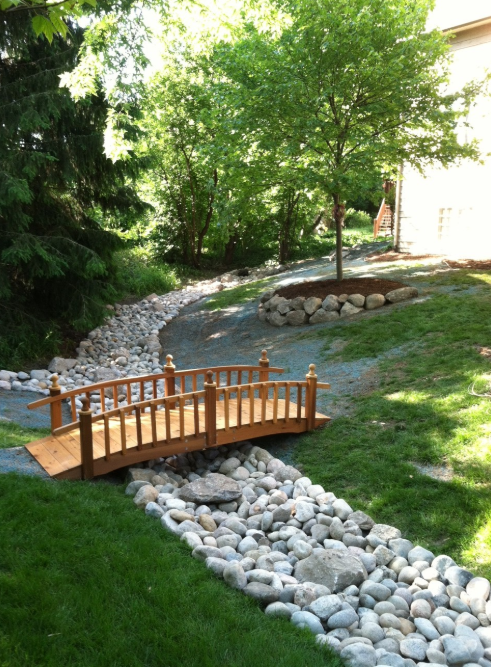 A basic dry creek bed with the added bonus of a small wooden bridge over it. Building a creek on your own is hard labor but not impossible. Depending on the length, width, and depth of the creek you want, you may like to hire professional. It may seem like you just have to dig shallowly and line with rocks, but it is not that simple. When you start digging, it can take a lot of effort. Some places are harder to dig out. If you start lining up the mounds of grass along the boundary of the creek, it may reduce the depth you have to dig. Have your rocks available. Ensure that you have enough to cover the entire creek. It can take a lot of effort to lug all the rocks to the site of the creek. If you are specifically building the creek for water drainage, then you must test it before finalizing. Run water through it to ensure it moves along smoothly. Check if there are any places where the movement is slow; you will have to improve these. Once everything is ready, you can decorate the creek as you want. 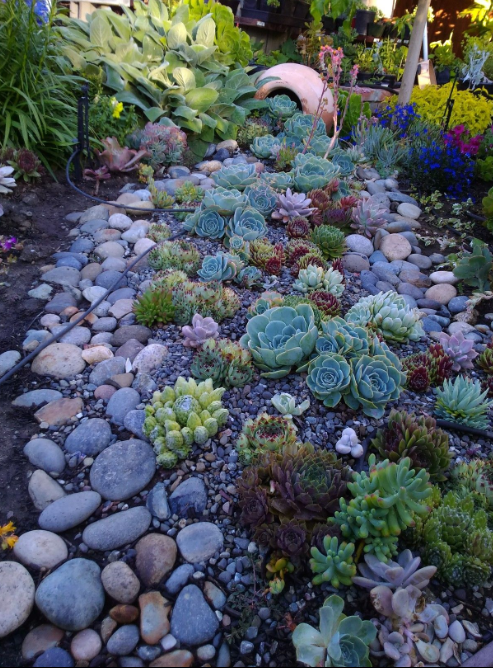 Hopefully, this post has inspired you for dry creek bed landscaping.